My Memory Art: Six Word Fridays ~ Free! 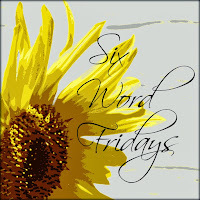 Six Word Fridays ~ Free! celebrate our shared gift of freedom. Beautiful! Hope you have a wonderful weekend! Watching fireworks felt very freeing when I was a little kid! awesome capture!! i hope we get to see some this year!!! And all the people said A-MEN! Wonderful thoughts for this special day. Blessings to you and yours.